New York : People with Parkinson’s disease have a form of impaired decision-making that may be a major contributor to the movement problems that characterise the disease, a team of researchers has found. Undertaken by researchers from the University of California Los Angeles, the study suggested that the neurological factors underlying Parkinson’s may be more complex than commonly believed. 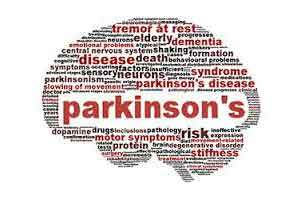 The study, publishing in the journal Current Biology also, could pave the way for strategies to detect Parkinson’s earlier in its course. The led team found that as compared to healthy individuals, people with early-stage Parkinson’s have difficulty with perceptual decision-making only when the sensory information before them is weak enough that they must draw on prior experiences. When the sensory information is strong, individuals with Parkinson’s are able to make decisions as well as people who are healthy. “This tells us that the problem for people with Parkinson’s disease is not walking per se, but rather in generating the walking pattern without the assistance of sensory information,” said study senior author Michele Basso. “The patients with Parkinson’s disease in our study were impaired only when they had to rely on memory information to guide their actions. We believe this fundamental problem of decision making in the absence of sufficient sensory information may be what is underlying some of the movement disorder symptoms,” Basso added. The disease has no cure, although medication or surgery can relieve symptoms to a certain extent. “Parkinson’s disease has long been seen as purely a motor problem, limited mostly to a section of the brain called the basal ganglia and a neurotransmitter called dopamine that is not produced at sufficient levels,” Basso noted.